About the Institute for Tibetan Thangka Art: Nestled at the base of the Himalayas in Dharamsala, India, fondly called ‘Little Lhasa’ – the rich tradition of Tibetan art flourishes. Renowned teachers work with talented young artists in the tradition of their master, the late Ven. 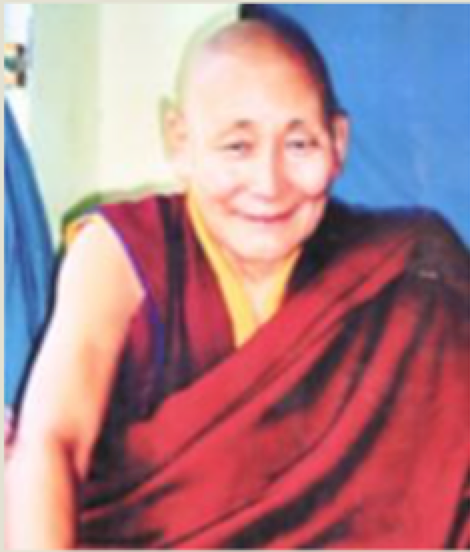 Sangye Yeshe. Artists of this school have painted the murals of the Potala, Norbulinka, and many of Tibet’s famous monasteries, as well as thangkas for His Holiness the Dalai Lama. His Holiness the Dalai Lama decided to reactivate the long and rich tradition of thangka painting and requested Ven. Sangye Yeshi to found the first school. It opened in 1977 at the Tibetan Works and Archives, Dharamsala. Due to the Library’s restructuring, the school was closed in 1992. Attracted by Ven Sangye Yeshi’s and his students’ reputation as great artists, new students continued coming. He trained them together with a network of his master artists. To ensure a high standard of training in the Menris tradition, he founded the Institute of Tibetan Thangka Art (ITTA) in 2004. It is a registered non-profit educational institution (134/2005), receives no governmental funding, and depends on private sponsors. ITTA Founder, Ven Sangye Yeshi (1924-2009) started training as a painter at the age of thirteen in Ganden Manastery. In 1953 he moved to Drepung Monastery, near Lhasa, where he painted thangkas and murals, and became a master of the Menris style. After the Chinese invasion of Tibet in 1959 he fled to India. His Holiness the Dalai Lama selected him as his personal painter in 1974 and requested him to start a school for thangka art in 1977. It is characterized by clear outlines, strong colors, fine shadings, and its accentuations in gold. The development of this style was interrupted by the Chinese invasion of Tibet. The tradition was revived by Ven. Sangye Yeshi, and flourishes today at ITTA in Dharamsala. Admission to the Institute is open to anyone with a passion for thangka painting and the willingness to commit to the intensive training program. At present, there are 25 male and female students from Tibet, India, Mongolia and Russia attending the five-year course. Commission a thangka: Master students, supervised by their teachers, produce top-quality work. Coordinate a gallery exhibition: The teachers of the school have showcased their art Internationally, and we are eager for our students to be able to do the same, and have a chance to sell their works as well. Sponsor a student’s training: New arrivals from Tibet need financial assistance for living expenses and art supplies. Library project: Students and the local community have no access to the excellent art books available due to their prohibitive cost. Mineral color project: Traditional hand-made pigments are expensive; extensive training is needed to make and paint with them. 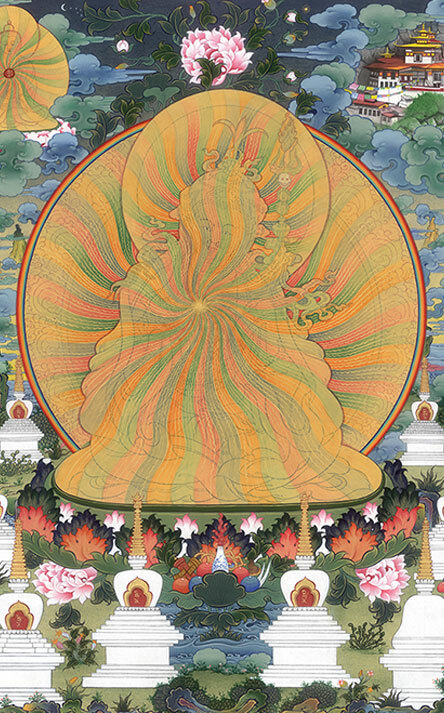 Please contact us if you are interested in supporting the Institute of Tibetan Thangka Art. Contributions are tax-deductable.